You who came from the stars is OMG Awesome. Its been a while since i have been this addicted to a K-Drama. This one is worth all the hype, the noise and everything else that goes along with it. Starring gorgeous Kim Soo Hyun and Gianna Jun, this drama is about the relationship between an Alien, Do Min Joon (Kim Soo Hyun) who landed in Korea during the 1600's and actress Cheon Song-Yi. There are inner story plots like a killer, jealous friend and loyal friend, but I am going to skip all that and talk about the main couple. The more I watch this drama, the more I love it. And I love every scene where these two are together. The "Chem" they share is so incredible that daily monotonous routines seem to sizzle. Like eating and watching TV together. And Mr. Alien, you do know you are not supposed to use super powers for selfish reasons... like evesdropping into conversations just cause you are jealous. 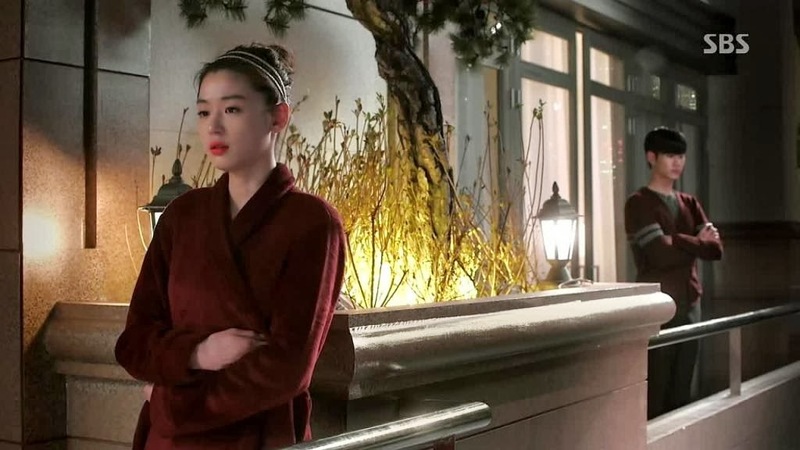 Though It was pretty hard to choose from, I have made a list of my favorite scenes from the drama. 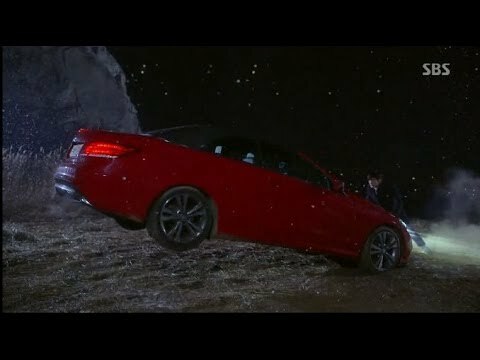 1) Do Min Joon Saves Cheon Song Yo from falling off a cliff. I liked the bond between these two. It was not romantic nor was it brotherly, but i was upset when it was the end of their relationship and what a sad ending! There is something heart wrenching about a 15 year old knowing her end is near. 3) You Naughty Alien you!!! - I just need a reason to pounce on you. For someone who said "1 Meter Distance", he is pretty happy in the scene below. If his "Father" hadn't interrupted him, who knows what our naughty alien would have ended up doing. 4) The Kiss - You have captured my attention in 15 secs. Nothing like a kiss that tells a woman, I am into you. And again, I feel the need to point out that "1 meter Distance guy" seems to like all this grabbing and kissing stuff. I love that our alien's heartheart has not stopped increasing since the kiss. Every guy, or in our case, Alien has a weakness and unfortunately for him, our princess seems to think its women's shows. She is so cute telling him to choose anything from her closet. Can he be anymore embarrassed? Balcony's scenes are always romantic. And this drama has made use of the balcony to make us squeel in excitement. Its almost like whenever they are in the balcony, we can expect something sweet and endearing to happen. SY's round about love confessions is so adorable. this scene is less than 5 seconds, but this is awesome. She may have reached rock bottom with no friends, and money but she has attitude. and this scene proves it. 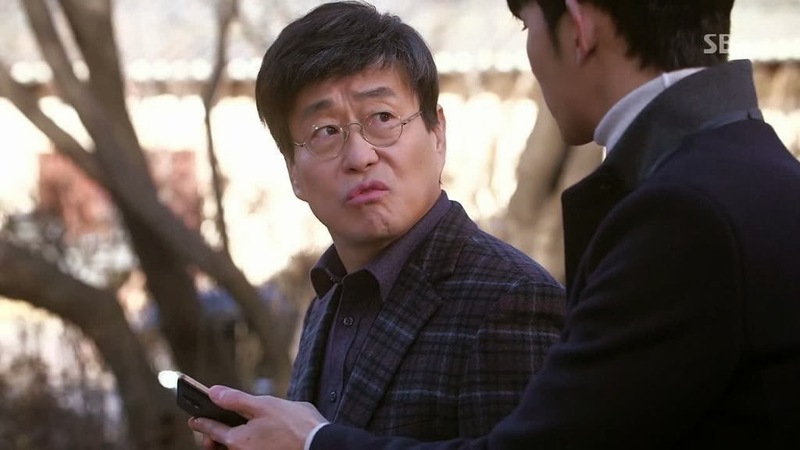 Even is there is a huge age gap between the two friends, Lawyer Jang's annoyance over being number 2 in Min Jo's speed dial list is beyond cute. "Hormones Never Lie", that is what she said. Do Min Jo might look disinterested in her dream but he certainly seems curious to hear her version of the dream. How can I even begin to explain the scenes where they are having dinner/lunch together. During that meal, he is not an alien nor is she an actress. They are just two people who share a bond. Every one gets jealous but Mr. Alien here does it with style. From the beginning he was always uneasy around HK and now its reached new heights. He is all fine when he is talking to HK about evil elder brother, but the moment anyone mentions SY and HK together, its only green that our alien can see. Though he was being noble pushing her away from him, he seems extremely disturbed about SY moving on. A little too disturbed. Aren't you the one who wanted her to leave you alone, Mr Alien Manager? 12) Freezing time for a personal reasons. This is more of the concept rather than one scene. Freezing time to save someone is one thing. But our naughty alien has been misusing that particular power. Its all fine he froze time to delete the sentimental SMS but he couldnt resist touching her hair. Now that I notice, he keeps freezing time to either kiss her or touch her. You are seriously a Naughty Alien. And I am dying to see how SY would respond if she ever knew about this. Do I even need to say anything for this? SY was never the average girl. So her reaction to his being an alien was expected to be anything but ordinary. These are my favorite scenes. There are lots more scenes which I keep rewatching I am not able to fit them here. Which have been your favorite scenes? ah, my favorites as well. My fav is when our alien is with our princess :) hehehe. Love them both, love the chemi. There is only one best scene. When he stops the car from falling from cliff.